The series was devised and produced by John McGrath, who had worked at the BBC since 1960, developing Z Cars (1962-78) with Troy Kennedy Martin, on which he worked mainly as a director, and the experimental series Diary of a Young Man (1964), on which McGrath was credited as co-writer with Kennedy Martin. Both Z Cars and Diary of a Young Man used more filmed inserts than were normally included in television drama at the time, TV drama still being largely studio-based, in an attempt to introduce an element of documentary realism into drama. 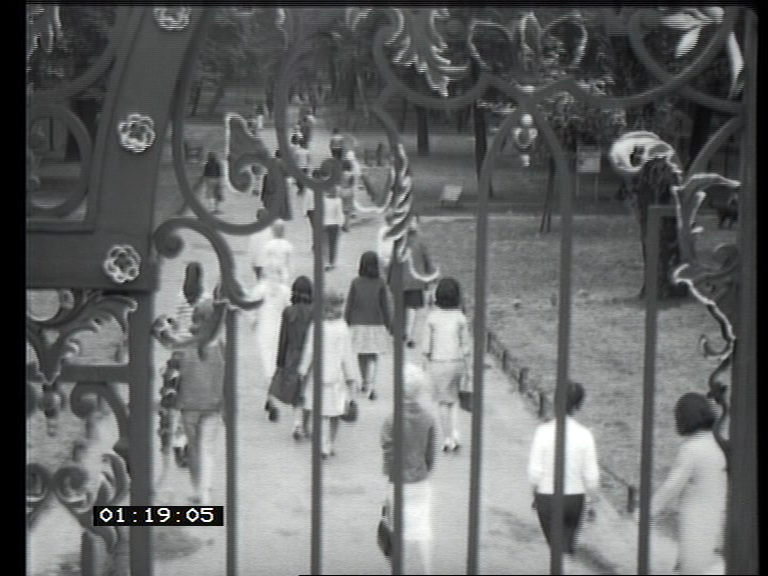 The breakthrough into filmed drama is normally associated with Ken Loach and Tony Garnett, working on Wednesday Plays such as Up the Junction (1965) and Cathy Come Home (1966), but McGrath had proposed a series of short dramas, provisionally entitled Short Circuit, to be shot entirely on film, in 1963. This proposal was realised when six films were shot from April-August 1964 (some filming taking place before the six episodes of Diary of a Young Man were produced, from June-September 1964, although Diary was transmitted in August-September 1964, before Six was shown). The films made for Six were premiered at the London Film Festival in October/November 1964, several weeks before their TV transmission, highlighting the fact that these were not regular television drama productions. In fact the series was not produced by the Drama Department at the BBC but under the rubric of Huw Wheldon’s Documentary and Music Programmes. This was mainly because of union agreements that a certain percentage of any drama should be recorded in the studio, which is why both Up the Junction and Cathy Come Home had to include at least ten per cent of studio-recorded material, even though they were largely shot on film. With McGrath, Watkins, director Ken Russell and others, I am actively exploring a new hinterland that lies between factual documentary on the one hand and fictional drama on the other. It is essentially a world of the poetic imagination… These films have been made relatively cheaply, with small documentary-type camera crews, and the BBC would run into trouble with several different unions, as well as with the film industry itself, if it tried to make its own full-length feature films on this basis. We do not have the equivalent in English of a “film d’auteur”; I suppose the nearest is a “personal film” – anyway, that is what these are meant to be. We want the conventional categories of producer, novelist, script-writer, script-doctor, adaptor, screenwriter, director, and editor to be broken down; we want the film to be allowed to come through as the clear expression of one person’s deepest and most intimate creative thought. In other words, we want the film to attain the artistic status of the poem or the novel. According to David Robinson, who wrote an article about the series called ‘Nursing the Avant-Garde’, published in Contrast, Spring 1965, the series was “handed over to Michael Peacock at BBC-2 (since clearly he was more likely to be sympathetic than Donald Baverstock, then head of BBC-1).” While Robinson may have been referring to the experimental or artistic content of the series being more suited to the alternative remit of BBC2 rather than BBC1, the fact that the films were shot on 35 mm film and were therefore high resolution compared to most television drama at the time, also made them better suited to the improved picture quality that 625 lines offered. 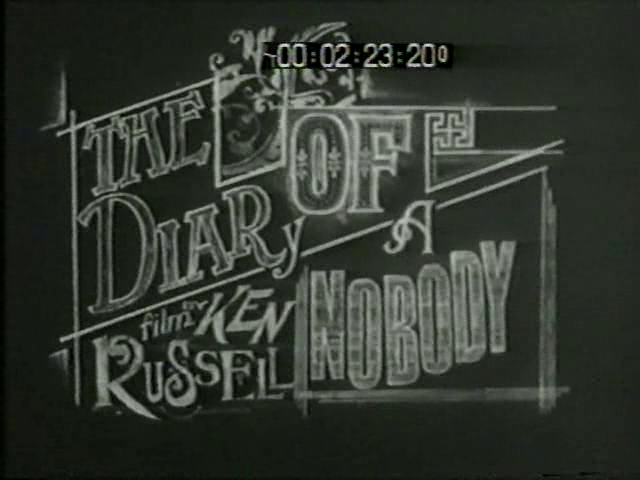 The first film to be transmitted, on 12 December 1964, was Ken Russell’s Diary of a Nobody, adapted by Russell and McGrath from George and Weedon Grossmith’s novel. This was perhaps chosen as the first film to be shown because it is more lighthearted than some of the others – The Logic Game, for example, is informed by existential psychoanalysis and David Robinson, for one, found it “incomprehensible, and very irritating.” Diary of a Nobody, in contrast, was much more accessible. 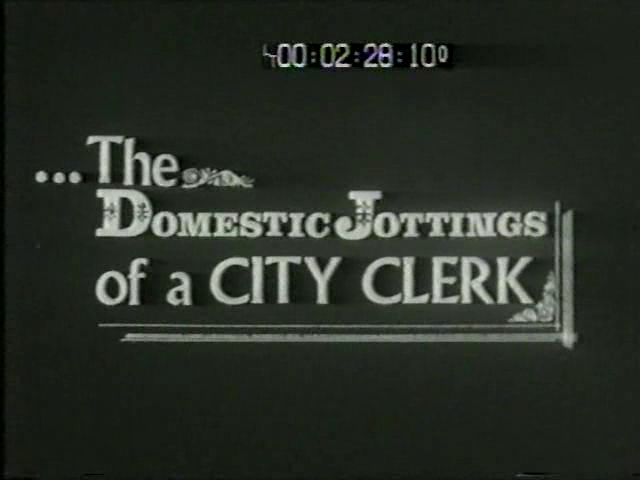 Ken Russell was known for his Monitor films about composers and he shot Diary of a Nobody in the style of a silent film comedy, with ‘The Domestic Jottings of a City Clerk’, as it was subtitled, delivered in voiceover by the central character, Charles Pooter (Bryan Pringle). As was the convention with silent cinema, the film was accompanied by music, composed and played by Ivor Cutler. The second film, The Chase (19 December 1964), was an original story co-written by Troy Kennedy Martin and Michael Elster, who also directed it. This was an action film in which the central character, Frank Bowles (Ken Jones) is pursued by four motorcyclists after he accidentally knocks over one of their bikes. The gang included a rather unthreatening-looking Rodney Bewes, who was to become famous for The Likely Lads, which made its debut on BBC2 just three days before The Chase was screened. The film included a sequence filmed from a helicopter and it was one of the most expensive films in the series. Although Troy Kennedy Martin had made a name for himself as a scriptwriter by this time there is little doubt that Michael Elster, who had just spent four years at the Polish Film School, was the auteur of this particular film, just as Ken Russell was of the first film, a fact confirmed by the Radio Times which listed The Chase as ‘A film by Michael Elster’. The third film, Don’t I Look Like a Lord’s Son? 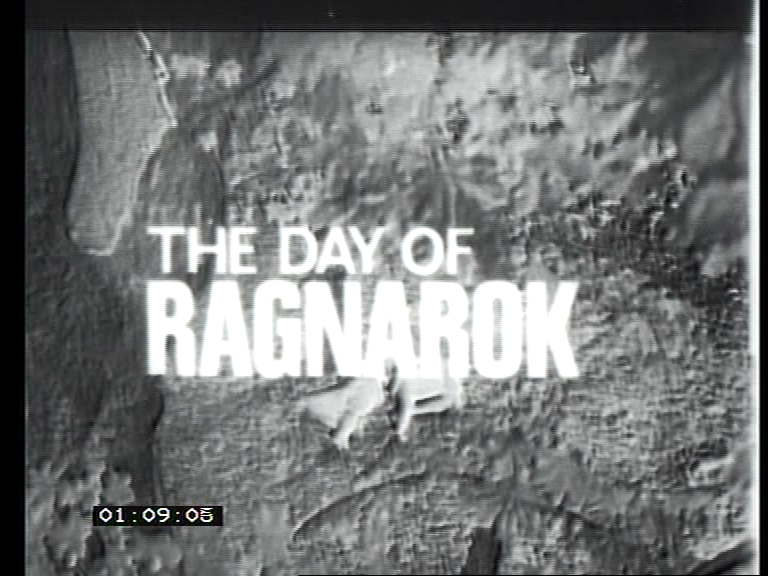 (26 December 1964), was about a young con-man, written and directed by Joe Massot, and the fourth, The Day of Ragnarok (2 January 1965), was written and directed by John McGrath. The images are striking, vivid, and when necessary, effectively horrific. The theme – the opposition of the independent, spontaneous and uncommitted personality and the dedicated, committed absolutist – emerges clearly and quite arrestingly. The setting is contemporary; but The Bomb is present only as a symbol of utter annihilation. The allegory is spiritual rather than political. There was one more film in the series, David Andrews’ Andy’s Game (16 January 1965), adapted by Andrews from a novel by Michael Hastings called The Game. This was told from the point of view of a young black boy, mainly in voiceover, who is preparing to leave his friends and return to Jamaica. It’s a more accessible, lyrical film than The Logic Game, made by a director whose previous film, made for the BFI’s Experimental Film Production Fund, had shown his talent in handling non-professional actors. The ‘experiment of allowing directors their head’ was seen as sufficiently successful for a second series to be commissioned. Provisionally entitled Six More, this was changed to Five More when one of the films fell through, although the series title never appeared in the Radio Times. Unlike the first series, the second series had a theme of ‘love and marriage’ which was interpreted in a variety of ways by four directors, John McGrath directing two of the films, Philip Saville one, with one by Ronald Eyre and one by John Irvin (who went on to be a prolific Hollywood director). The second series was shown in July/August 1966 but it has been completely overshadowed in television history by Cathy Come Home, shown later that year. In the light of Huw Wheldon’s remark that the first series, Six, was “making a breakthrough not much less important than that of Culloden”, it is interesting that these six films, like the subsequent ‘five more’, are now almost completely forgotten. The fact that they have never been repeated and, apart from Diary of a Nobody and The Logic Game, have had no public screenings since they were first transmitted, has obviously contributed to their being forgotten. While there are some interesting films within the two series they do seem to have suffered from being made at the same time as such controversial issue-based dramas as Culloden, The War Game (1965), Up the Junction and Cathy Come Home, and while they were pioneering in being made on film at a time when most TV drama was being produced in the studio, much of it still ‘live’, they were overshadowed by the glossier filmed series being produced by ITV at the time, such as The Avengers (1961-69) and The Saint (1962-69). Ultimately these films fell between two stools: too self-consciously ‘artistic’ and ‘poetic’ compared to the emerging social issue drama being made for The Wednesday Play (which began on BBC1 just a few weeks before Six made its debut on BBC2), but also, as short films rather than TV dramas, suffering the fate of many short films by having no guaranteed exhibition outlet. 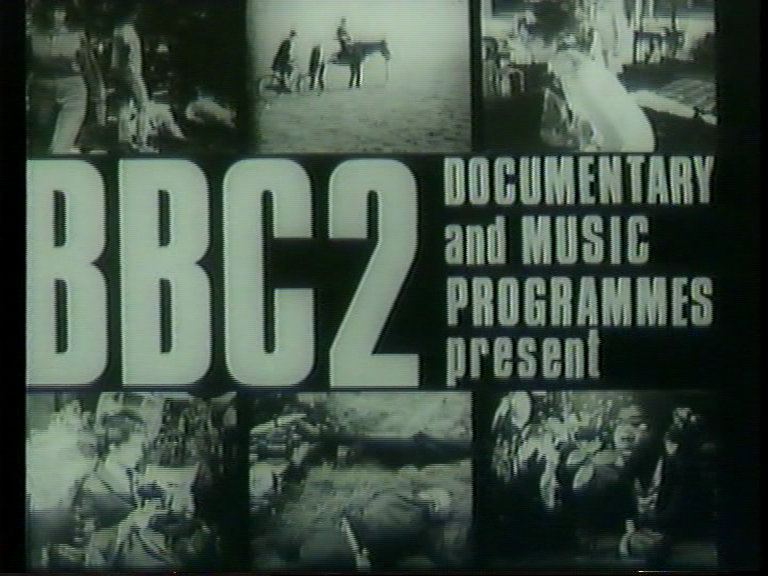 Screened late night on the ‘minority’ channel of BBC2, when the audience for the channel was relatively small, and not repeated, the eleven films made for the two series disappeared into the archives. They do, however, illustrate the progressive nature of BBC2, which was prepared to commission what would have to be described as short ‘art’ films, the kind of films for which there was not really a place on British television until Channel Four came along in the 1980s. (The Logic Game and Shotgun, the first film in the second series, will be shown in a season of Forgotten Television Drama at BFI Southbank in February 2015).